Greetings, Thank you for visiting our website for HYBASIA Incorporated. To empower families to self sufficiency through education in the developing countries of Africa. 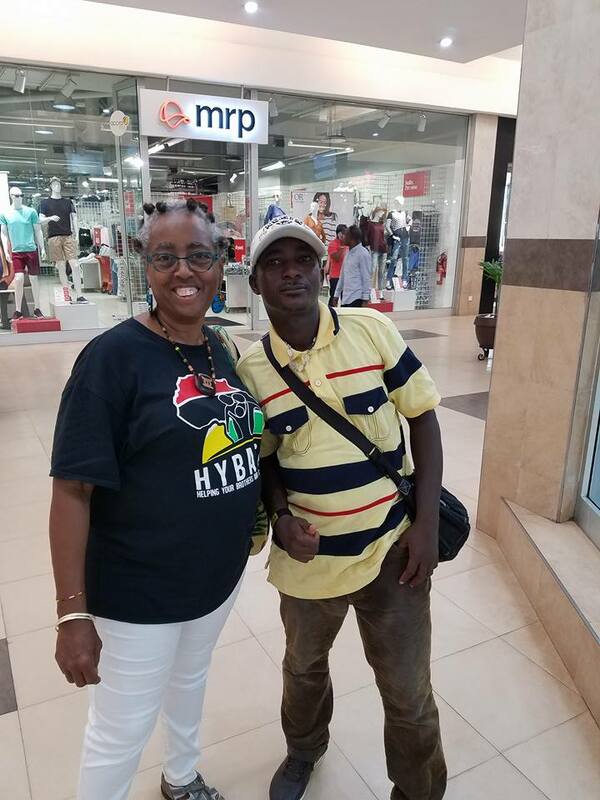 HYBASIA's primary function is to raise donated funds to finance our programs in Africa and raise public awareness of HYBASIA Inc., it's mission and the quandry of Africa's underprivedged people. To focus on the needs of the underprivilidged families in relation to preventive health care and education in Africa. To educate children and their parents, if needed with literacy education. To serve the poor, regardless of any religious ,spiritual expressions,ethnic group or gender. HYBASIA INC. is a nonprofit corporation under the State of Texas and has 501c3 status from the Internal Revenue Service. All contributions to the organization are tax deductible to the extent provided by law. What HYBASIA was doing in the past. 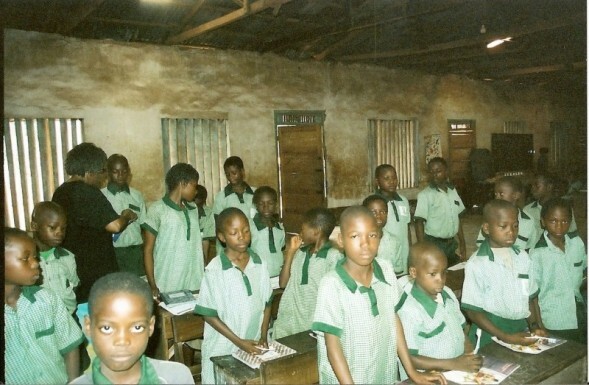 Hygiene classes taught in the village of Issele-Uku at Rev.Martin Memorial Primary School- Nov. 2007. Tooth paste and tooth brushes given to four classes of approx. 40 children. It was the first for some of the children. Tooth paste and tooth brushes were donated by friends of the founder in Labor and Delivery and Ob/Gyn Dept. "Nigerian Village Night" see story below. Raised funds to build toilet facilities with hand washing stations for the children in the Rev.Martin Memorial Primary and Mixed Secondary School is the first short term project. 500,000.00 Naira was delivered to Issele-Uku on 08/28/09 . A Hygiene program promoting washing hands with soap and water was started November '07. Handwashing with soap and water is one of the most effective means of preventing diarrheal diseases and respiratory infections.Two of the biggest killers for children under the age of five. A Preschool for children three months to 5 years old is planned. Fundraising planning in progress. This is our long term goal. NGO (Non governmental organization) status was established in Ghana, August 25, 2009. This will help usto obtain local funding in Ghana easier. A new building has been leased for two years for the afterschool program. The old structure was washed out during the rainy season. The building will also serve as a community center. An afterschool Arts and Native Crafts program will be implemented as well as tutorials as needed by the children. An adult literacy program will also be implemented to serve the immediate needs of the community. Medical Mission trips will be planned to encourage intercultural exchange. It will also help to update the Nigerian M.D. 's,Nurses and students with new technology and skills. Nigerians will share their expertise in Tropical medicine. The Rev. Martin Memorial Hospital was recently leased for 50 years by Victor Anazia M.D. He renovated it and opened it in June,2009. as a 24hr service. I am officially a member of the village of Issele-Uku. I am also a new member of the Issele -Uku Association of North America. I want to help my people to live and be healthy and have an improved standard of living. They are now becoming empowered to help themselves. My dream is becoming reality, little by little. Ethics will be taught as part of the curriculum at the school and as part of the afterschool and adult literacy programs. The "Brain drain" is a problem in the area. Hopefully, a Holistic approach to the problem will help to begin work on the problem. HYBASIA INC. was founded on August 29,2005 with the belief that we are our brothers' and sisters' keepers. Our Ancestors are our role models who didn't give up admist adversity. They remembered home and found a way back there through us. -We believe in intercultural exchange. -We believe that the exchange is equal to what we are willing to share with each others. -We understand that if anyone is suffering, we all suffer. Proverty and ignorance are our enemy. Her story was featured in The Galveston Daily News. Make a Difference! Volunteer to help us.